This morning, an additional 11 concerts were announced by David Gilmour as part of his 2016 Rattle That Lock tour, all taking place in mainland Europe. As we've come to expect from David, some of the venues have come very much as a surprise, either in terms of location or the venue itself. Some of the venues look wonderful and should prove memorable places to see the show. Tickets for the newly announced shows, as well as the Stuttgart show which was revealed yesterday, go on sale at 10am CET (Central European Time) on Friday (February 5th). 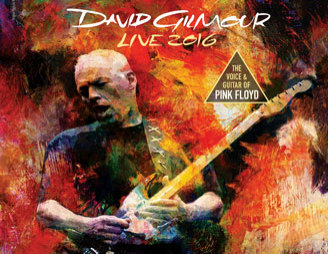 Full information including the relevant links to the ticket agencies, as well as (in some cases) telephone booking lines, will be found on the individual show pages which are found in the David Gilmour 2016 Tour zone. The tour then concludes with the four dates previously announced for London's Royal Albert Hall, in September.